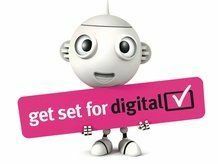 Those hoping that Freeview's upcoming high-definition service will be transmitted in 1080p prepare to be disappointed, as Ofcom has decided against it. Instead of using a Full HD friendly format, Ofcom has chosen to go with MPEG4 advanced video 4.0 compression – which supports 1080i but not 1080p. Although a later version of MPEG4 AVC is available (4.3), Ofcom has deemed the codec too much of a risk, considering the service is set to be available by the end of the year. TechRadar spoke to Alex Lane, Editor of What Satellite & Digital TV about Ofcom's decision, but he felt that the lack of 1080p wouldn't pose too much of a problem for average consumers. "Ofcom's decision will disappoint home cinema maniacs, but 1080p is still very much a wish-list option for broadcast TV," he explained. "[There are] many technical hurdles to overcome before it's a practical format, from production to transmission and even the silicon inside set-top boxes." Currently both Sky HD and Freesat use the 4.0 codec, but Sky has mentioned it has began trialling the 4.3 version (1080p) in the US.